Roman Zyla is Regional Lead, Africa Corporate Governance Program, Environment, Social Development and Governance Department, International Finance Corporation (IFC). Uncertainty is the enemy of investors and of the businesses in which they invest. This is true not just in Africa, but in markets the world over. However, the African business environment arguably poses more risks than other regions. The challenges are deep, daunting and complex – Ebola, technology and skills gaps, disenfranchised youth, economic and political instability, food insecurity – just to name a few. Let’s be clear, though. The Ebola crisis is having economic ripple effects well beyond the relatively small geographic confines of the outbreak, creating widespread deep uncertainty. Global markets have been jittery, which analysts attribute to fears about Ebola among other issues. In October, the International Monetary Fund (IMF) cut its forecast for economic growth in sub-Saharan Africa this year to five per cent from 5.5 per cent, noting the risk of broader economic spillovers if the outbreak spreads beyond the three West African nations where the disease is currently concentrated. Will the public health crisis in just a few countries in West Africa impact investments elsewhere on the continent? How will it affect the flow of people, goods and services across borders outside the Ebola zone? Will it impede progress on much needed infrastructure expansion? Will it destabilise businesses? 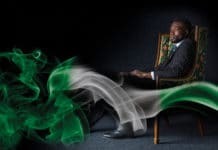 Will it disrupt the rapid pace of growth that has transformed the continent and contributed to a remarkable economic renaissance in many African nations? I can’t answer these questions. However, I can suggest that amid these challenges, a strong and intentional focus on corporate governance – both at the individual company level and at the regional economic development level – presents an opportunity to inject a bit of certainty back into the business environment equation. At the International Finance Corporation (IFC) we have witnessed the transformative power that improved governance can have, particularly during periods of uncertainty, shoring up businesses, steadying markets and instilling investor confidence. I understand that this proposition may seem a bit of a reach to some, although presumably readers of this publication are predisposed towards the value and importance of good governance. However, even here, some might wonder: corporate governance? Really? At a time of so many conflicting priorities in Africa, why corporate governance? Here’s why. Sound corporate governance requires formal and functioning structures and processes to underpin all aspects of business operations. 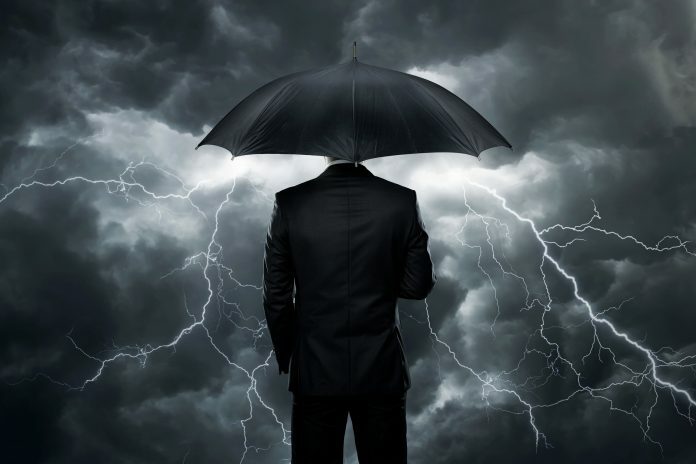 This enables companies to avoid many risks by stabilising their operating environment and creating mechanisms that will allow them to ride out the storms. Some of the links are obvious. 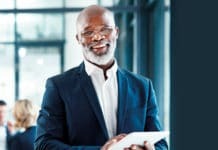 Succession planning for senior executives protects businesses in the event that a public health crisis like Ebola strikes down company personnel. It also addresses sudden leadership voids that might occur with the unexpected death of an owner or rapid exit of a top executive. Careful succession planning contributes to business continuity and reduces the risk that the loss of one or two key people for whatever reason could disrupt operations. Other connections between good governance and the ability to ride out volatilities call for a more nuanced understanding of how the internal functioning of a company affects its efficiency, effectiveness, and performance. For instance, enhancements that improve board functionality and that prioritise professional management help the company tackle difficult problems head on, guided by careful and clear-eyed strategy that accounts for the realities of the current situation as well as the promise of the future. A strong internal control system also provides additional stability and risk mitigation, ensuring that the firm’s financial reports are accurate and reliable. This gives investors and other stakeholders a view of the company’s actual financial condition. It also gives them assurance that the company can be trusted to operate in accordance with its own mission and in compliance with relevant laws and regulations. Taken together, these measures lend a degree of certainty about the company itself despite broader market uncertainties. It doesn’t mean that the crisis will go away. But it does give the company a better chance for long-term sustainability. One IFC client in Nigeria is attending to such governance fundamentals as it prepares for rapid expansion throughout West Africa. A health care firm that operates medical clinics, the company is working hard to meet new demand for its services as Ebola drains existing medical services capacity in the region. The improvements have strengthened the company’s operations and clarified its strategic direction – putting it in a better position to raise the funds needed to enable expansion. African companies today face another insidious problem – misperception about what’s really going on across the continent. Indeed, a quick review of the headlines of major overseas publications shows that stories of danger and despair are often the only frontline coverage Africa receives. Such stories tend to crowd out the good economic news happening in much of the continent. Even with the IMF’s revised guidance downward, at five per cent, Africa’s projected growth rate for 2014 outpaces global growth, estimated at 3.9 per cent. (It should be noted here that my colleague Jane Valls, CEO and Chair of the Africa Corporate Governance Network, has written eloquently in Ethical Boardroom about this economic resurgence and the role of corporate governance in driving new investment – June 2014). In my conversations with African business leaders over the past few months, they have indicated real concern that this economic surge could stall. They point out that most of Africa’s nations are Ebola-free. Yet, they worry about the potential for postponed foreign direct investments or increased cost of capital over the perception of danger. It’s what World Bank economist Maryla Maliszewska calls ‘aversion behaviour’ – the tendency for investors to simply stay away until the perceived risks have passed. In an October 2014 blog post, she writes that the three hardest hit countries – Liberia, Guinea, and Sierra Leone – are already struggling with severe economic impacts in addition to the human and societal toll. Still, she says the fallout in other countries can be minimised if public health authorities are successful in containing the disease, as in Nigeria, and if this ‘aversion behaviour’ can be overcome. 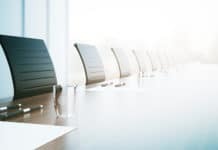 Once again, I return to corporate governance fundamentals – specifically, transparency and disclosure – as a way for companies to address misperceptions. Open and frequent communication with shareholders and the broader investment community gets the word out that businesses are alive and well, functioning properly and charting a strong course for the future. The bottom line is this: the problems facing Africa are complex, deep-reaching, and wide in scope, requiring action on multiple fronts. But at the company level, the solutions are really quite simple. Putting in place a sound governance structure creates clarity, reduces uncertainty and mitigates risks, enabling companies to make rational decisions that will allow them to weather crisis, cope with on-going challenges and maybe even come out stronger. ROMAN ZYLA is the Regional Corporate Governance Lead for Sub-Saharan Africa at IFC. He has experience working with financial institutions, family-owned companies, state-owned enterprises, and is working on governance for small and medium-sized enterprises. Roman has over 15 years of experience in risk research, corporate development, and has served as a board member of a family run company. Roman is a specialist in transition economies of the former Soviet Union and business development. He has also worked throughout Eastern and Central Europe, Central Asia and in East Asia, Middle East and North Africa, and Latin America and the Caribbean. He is fluent in French and Ukrainian. Roman is based in Johannesburg, South Africa.